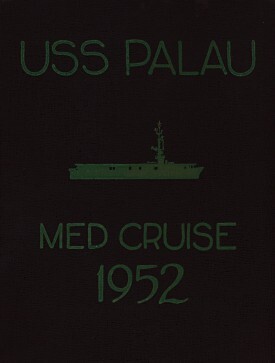 Here you can download the USS PALAU (CVE 122) Mediterranean Cruise Book 1952 as a high resolution .pdf file. You will be able to zoom in to better read names etc. Printing is also easily possible because of the high resolution (300dpi) and the missing watermarks. Please note that the scans in the download are the same images like above, however, they have not been resized. That means that everything that's visible in the scans above will be visible in the .pdf file as well. Click here for a sample page. You are interested in having a hard bound reproduction made of this cruise book? Click here for more information. After completion of the Paypal check-out you will be redirected to the download page. Additionally, you will also receive an email with the download link after the Paypal check-out. Your download link will then be active for 48 hours before it expires. In order to view the downloaded files you need to have the Adobe Acrobat Reader installed. The Acrobat Reader can be downloaded for free at www.adobe.com. 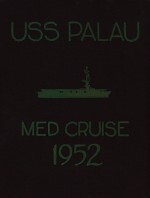 Back to last Page Back to Cruise Book Page Back to USS Palau Page. Back to 1st Page.